You have more information at hand about your business environment than ever before. But are you using it to “out-think” your rivals? If not, you may be missing out on a potent competitive tool. 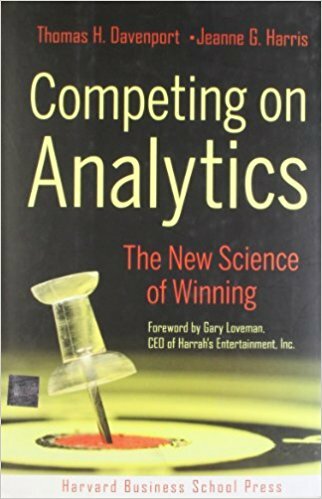 In Competing on Analytics: The New Science of Winning, Thomas H. Davenport and Jeanne G. Harris argue that the frontier for using data to make decisions has shifted dramatically. Certain high-performing enterprises are now building their competitive strategies around data-driven insights that in turn generate impressive business results. Their secret weapon? Analytics: sophisticated quantitative and statistical analysis and predictive modeling.